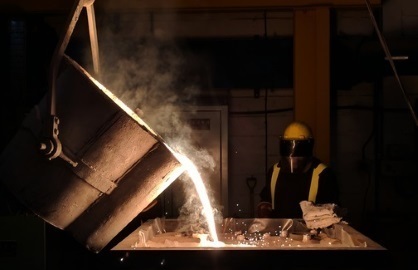 We design and build all our pumps at our site in Bristol and are very proud to be British made. 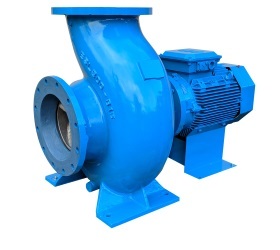 Apex Pumps design and manufacture a wide range of centrifugal pumps for industry, building services, aquaculture, petrochemical plant and many other similar demanding applications. 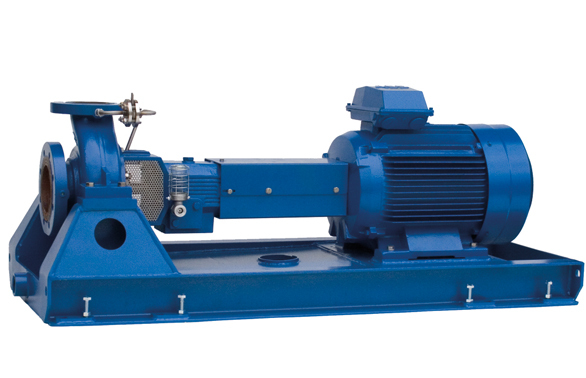 TD Pumps	TD pumps offers one of the broadest ranges of pumps with discharge sizes from 32mm to 250mm. The Back pull out design for ease of maintenance and conforms to DIN 24255 standard. Capable of handling large range of liquids and compatible with a Vortex impeller. 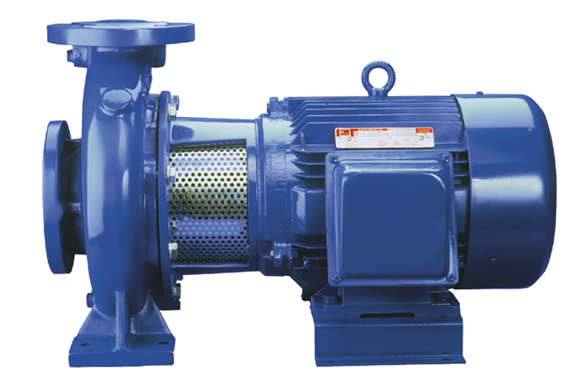 TC Pumps	TC pumps offer a close coupled horizontal end-suction pump with performance and dimensions in accordance with DIN 24255 standard. 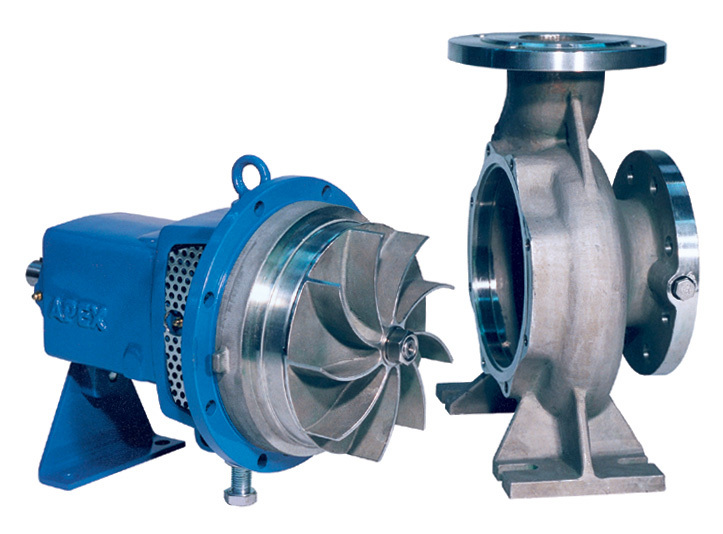 A broad size range capable of handling large range of liquids and compatible with a Vortex impeller. ISF Pumps	ISF pumps an end suction pump conforming to ISO 2858 and ISO 5199. 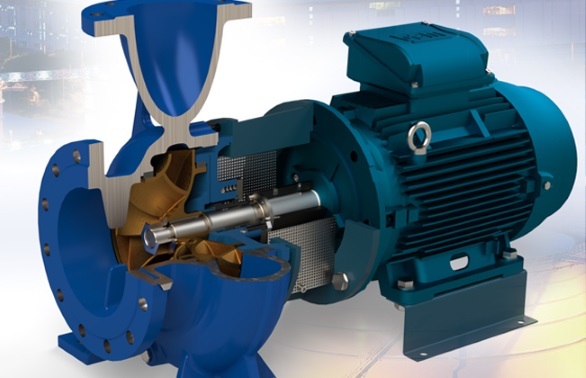 Idea pumping solution for demanding applications such as refinery, chemical process and many industrial applications. High efficiency design with low net positive suction head requirements. 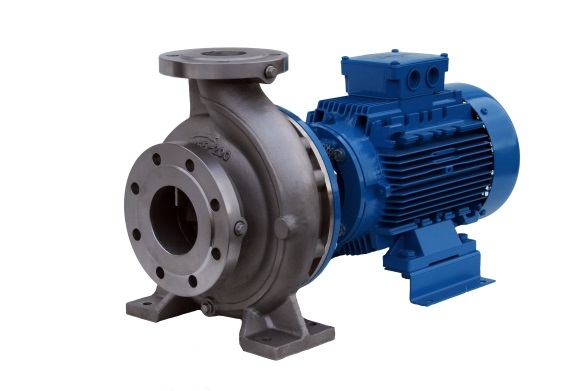 API Pumps	Conforming to API 610 standards, the Apex API range of heavy duty pumps is designed for the most onerous duties handling hydro carbons and chemicals at high temperatures and pressures. 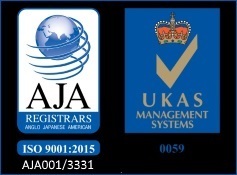 Designed and manufactured within the UK. 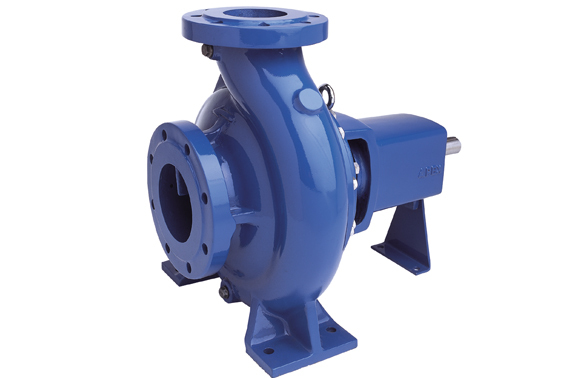 ESL Pumps	Large end suction range with flange sizes from 200mm(8||) to 450mm(18||) and flows up to 3000 m3/hr and head up to 180m. Efficient design with various seal arrangements available. Suited for applications where a split case HS pump is not required. Smaller sizes available in a close coupled variant. 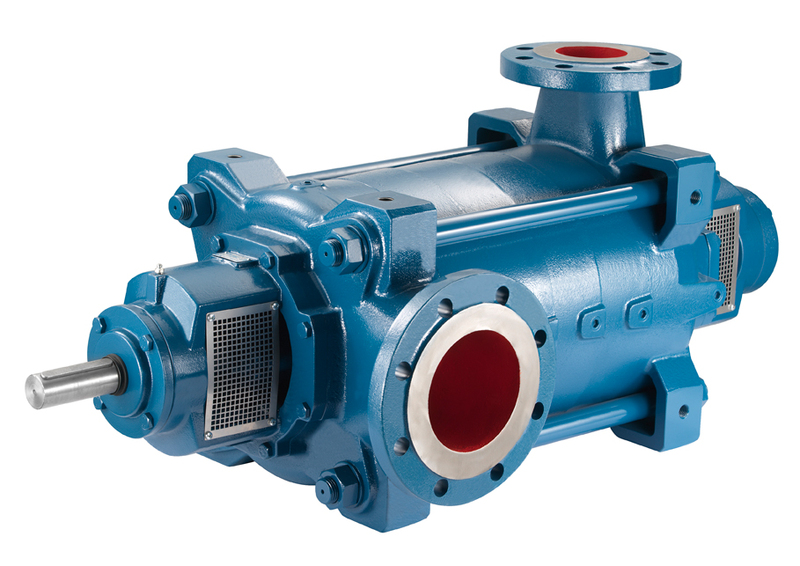 ISFC Pumps	ISFC pumps an end suction pump conforming to ISO 2858 and ISO 5199. 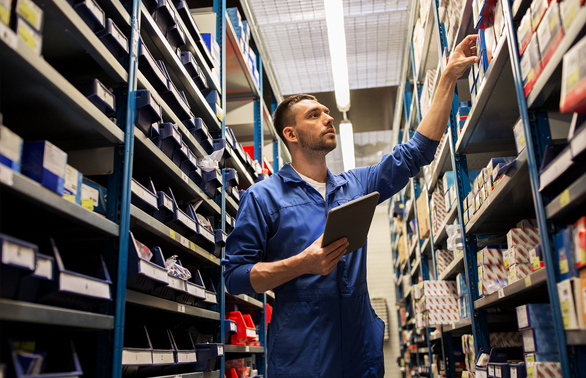 Ideal where space is limited but reliability is needed for demanding applications such as refinery, chemical process and many industrial applications. High efficiency design with low net positive suction head requirements. 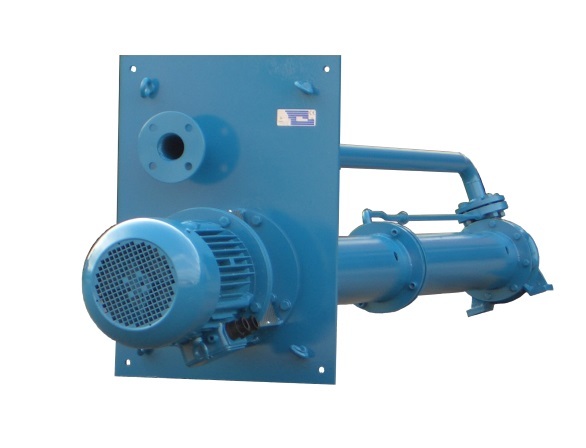 HP/HV Pumps	Horizontal and vertical high pressure multistage centrifugal pumps, suitable for industrial applications even with highly aggressive fluids. Max flow rates over 1200 m3hr Head up to 900m. 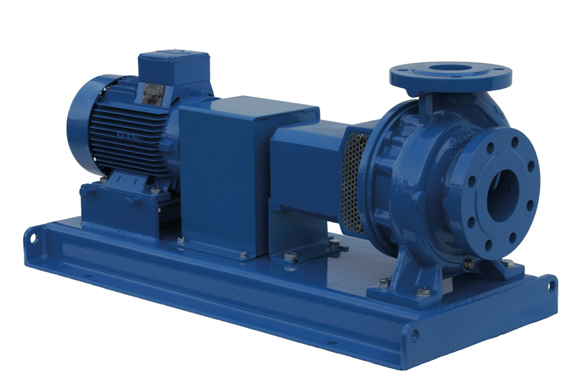 EMF Pumps	Large mixed flow end suction range with flange sizes from 100mm(4||) to 600mm(24||) and flows up to 3000 m3/hr. Efficient design with various seal arrangements available. Suited for high flow low head applications. Smaller sizes available in a close coupled variant. 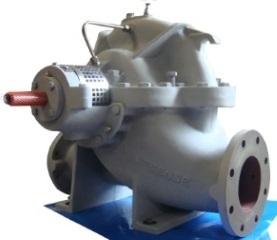 HS Pumps	Single Stage Axially Split Case Pumps with double entry impeller, 150mm(2||) to 400mm(16||) discharge. 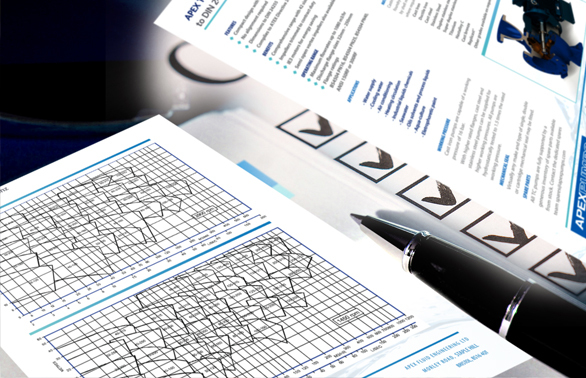 Designed and developed specifically for the varying applications and continuous operation demands of industry. Also available in high pressure and compact variants available. 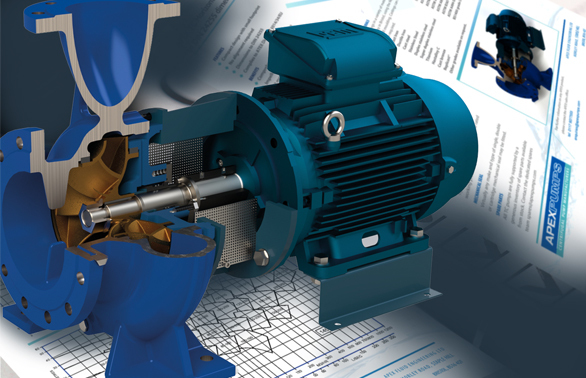 Vortex Pumps	TD and TC pump ranges complete with a vortex impeller for solids handling applications. A broad size range conforms to DIN 24255 standard capable of handling a large range of liquids with solids up 30mm in suspension. Available with impeller diameters up to 250mm. 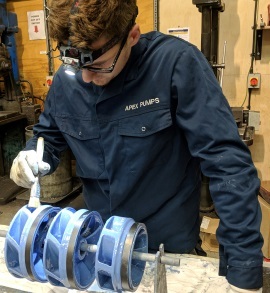 Coating Pumps	Pumps modified and coated with the latest coatings improving pump efficiency, lifecycle costs and initial capital expense. 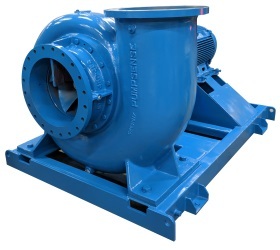 Apex pumps is able to offer coatings on all of the end suction and split case ranges. Ideal solution for water and aquaculture applications.